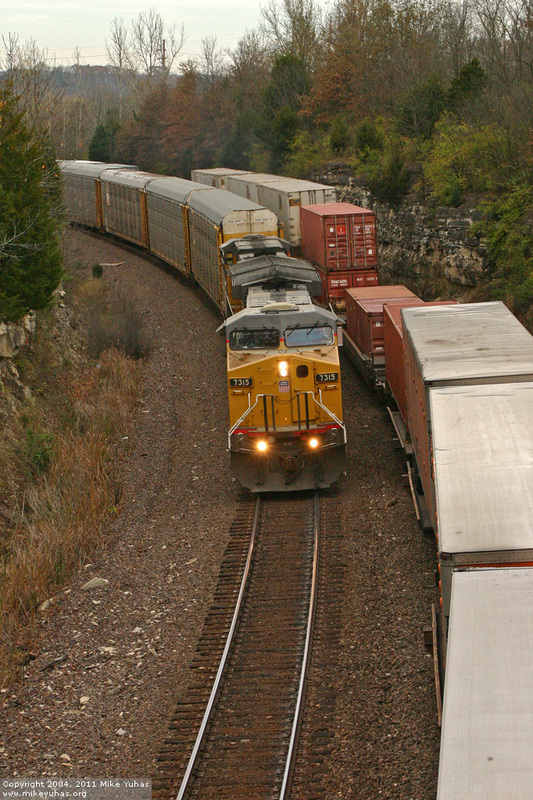 A westbound UP freight glides through on track 1 as another train pauses. We're just east of the town of Eureka, Missouri. The detector reported 304 axles (two six-axle locomotives and 73 cars), a train speed of 47 MPH, and a temperature of 50 degrees F.